Because of a recent court decision, the size of the financial incentive your employer offers you in hopes of motivating you to lower your cholesterol or lose weight may soon shrink. Starting January 1, they may become even more contentious. That's when a federal judge's decision to overturn existing rules about the programs takes effect. The decision casts uncertainty over what the appropriate upper limit for these types of financial incentives should be — specifically when employers offer them to workers to participate in programs that require clinical testing or the disclosure of their personal health data. Under the Americans with Disabilities Acts and genetic privacy law, an employer can't force someone to disclose this kind of private information — any disclosure must be voluntary. The central question is how truly voluntary something is when a large financial incentive is attached. As a result of the court decision, consultants say, workers may find their employers starting to offer smaller incentives for these programs. Also, the programs might include more options for qualifying for those incentives — a choice, for instance, between undergoing a medical exam or completing online health education training. About 4 in 10 employers participating in an informal survey by Mercer, a benefits firm, said they are not sure what they will do about their workplace wellness plans in light of the judge's ruling. "Some are modifying. Others are taking a wait-and-see-attitude," says Steven Noeldner, Mercer's senior consultant in total health management specialty practice. Eighty-five percent of large employers offering health insurance included a wellness program designed to help people stop smoking, lose weight or take other healthful actions, according to a 2017 survey by the Kaiser Family Foundation. Just over half of those included some type of medical screening. Rewards or incentives to participate in these programs vary. The most common are gift cards, fitness trackers or other merchandise, but some offer significant discounts on what workers pay toward their health insurance coverage. For instance, the Cleveland Clinic's version is more extensive than most, says Dr. Bruce Rogen, chief medical officer for the initiative. He describes it as a "population health program," with differing goals for workers who have chronic diseases like diabetes versus those who don't. Full participation, which may require losing weight, keeping blood sugar levels in check or hitting a gym at least 10 times a month, can save workers 30 percent off the cost of their insurance premiums. That could be as much as $1,443 a year. "Part of what makes the plan work is the fact we can offer that benefit discount," Rogen says. Thirty percent is the maximum an employer can offer, according to rules put out in 2016 by the Equal Employment Opportunity Commission. Shortly after the EEOC's guidance was issued, AARP challenged it in court, arguing that workers who did not want to provide their private medical information might feel coerced to do so because not participating would cost them substantial sums — ranging from hundreds to thousands of dollars. The argument — from AARP and other critics — is essentially that when incentives become large enough, employees may no longer feel that sharing their medical data is voluntary — because, how can they afford not to participate? In his first ruling in August 2017, D.C. Circuit Court Judge John Bates noted that the EEOC had failed to provide justification for how it settled on the 30 percent limit. He also pointed out that 30 percent of a worker's health insurance costs could be "the equivalent of several months' worth of food for the average family, two months of child care in most states, and roughly two months' rent." Now employers who are putting together next year's health benefit programs don't have specific rules to follow. The advice they are receiving from benefit consultants ranges widely, from "drop all incentives and penalties" to "stay the course." Few expect employers will stop offering wellness programs outright — because most hope the programs will hold down health costs by getting workers to take steps to improve their well-being. Critics, however, point out that studies show little evidence that workplace wellness programs achieve these goals. 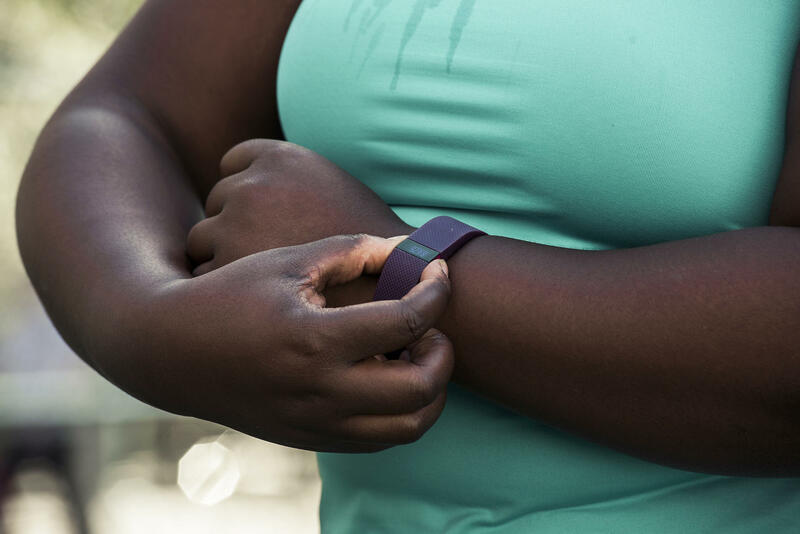 The ruling does not affect some wellness program efforts, such as offering financial incentives for going to the gym or walking a certain number of steps per day. Substantial financial incentives that are used to get people to quit tobacco are also not covered by the ruling — as long as there is no medical test required to check for nicotine use. But "you can't fine them for not getting their weight down, because then you have to measure their weight and that becomes clinical," says Al Lewis, who runs Quizzify, an employee health literacy company. The Cleveland Clinic's Rogen, who credits the wellness program for holding medical costs almost flat for the past five years, says clinic officials plan to leave it at that level next year, despite the uncertainty. Not all benefits consultants would agree with that choice. "The way we interpret the ruling is that financial incentives that relate to physical exams, including questions about health history, would not be allowed starting Jan. 1," said Noeldner, of Mercer. Others suggest that interpretation is taking the judge's ruling too far. After all, the Affordable Care Act provides a precedent for the 30 percent threshold — and the EEOC may well come back with a rule that reaffirms that amount. The ACA included a provision that raised the limit on health-contingent wellness incentives to that amount. "People may be overreacting to this by saying, 'With these rules null and void, we are out in the Wild West,' " says Todd Hlasney, senior vice president and director of health risk solutions at Lockton Companies, a benefits consultancy. "We are advising clients to be more conservative," he says. "But don't panic and say [you] can't do anything because of EEOC." Kaiser Health News (KHN), a nonprofit news service, is an editorially independent program of the Kaiser Family Foundation, and not affiliated with Kaiser Permanente.